I hope all of you had a nice Christmas celebration and are about ready to tackle what's left of 2017 before me make the jump into next year. I had a great time with family and friend, and no picture to show for it as the only thing that should never fail on my phone did : the camera. Anyway, after this little Holiday recap, time to get down to business. Namely keep you in the loop about what Pantone's color of the year is for 2018. Or, for those of you really not into the world of color and design, what the hell is a Pantone color and why is there a new one chosen every year. Pantone is a company that is responsible for standardised colors in prints, design and well...basically wherever you find colors. It's a bit techy, but in short Pantone is the company that came up with a system to give an ID to colors so that people can translate the color wheel found in Photoshop and other designs softwares. It is used by designers to make sure that what they are working on screen is what is going to be the end result in print. To the general public though, the only thing that matter is the famous "Color of the year". Each year in December, Pantone declare what will the color be for the next year. It is based on trends and may or may not be widely liked. This past year the color has been "greenery" a fresh light green, the year before that, it was a duet of Rose Quartz and Serenity blue. In 2018 we will all beat to the tune of Ultraviolet, which is a shade of purple. I was never much for the previous colors of the year, at the exception of the blue and pink duet (though the blue was a bit blah). But I really like purple, and this is a color that goes well with my primarily blue home decor theme. What's more I enjoy wearing purple a lot. So, in that spirit, I spent hours on Amazon putting together a purple shopping guide to deck your home in what will be the color of 2018. It goes without saying that all the links below are affiliate links, if you click on them a purchase anything on Amazon, I get paid a commission at no extra cost to you whatsoever. Since I found a lot of items, curating and narrowing it down was a though task, I ended up making several spreads, more or less room specific. 1). Pass the bread in style with this cute little Gingham basket. This is probably one of the most muted way to incorporate some of that purple into your life. And this little basket doesn't even have to be a bread basket really, feel free to use it anywhere. 2). Start your day on a cheerful note (not to mention healthy) by having a serving of fruit in these adorable fruit/cereal bowls. Get ready, set, munch! 3). Let your table run the show with this purple printed table runner. I don't know about you but I love love love table runners, there are just about the easiest way to give a dinning table a makeover. 4). If you ever looked for an excuse to buy some of those cute colored glass water bottles, there you go! Celebrating Pantone's color of the year is the perfect excuse to get to it. 5). Add the right ambience to your dinner table with these glass tea light candle holders. Purple is a color that really goes well with metallic accents by the way. 6). Once you stored your drinking water in purple bottles, the only logical thing to do is pour it in matching purple glasses don't you think? I say yes please! If you aren't fully committed to switch your entire home to ultraviolet, the easiest way to test the water is with throw cushions, once you are bored with one look, you just remove the covers, and put a new one, instant makeover for your sofa! 1). Stay ethnic with this light purple mirror embroidered cushion cover. If you can't see yourself going all purple, this one comes in many colors as well. 2). Are you bold and edgy? Mermaid pillows might be your thing. They are covered in sequins that change color when you rub and flip them in a different direction. This purple mermaid cushion plays on purple's complementary color : yellow. As a rule purple always makes a big statement when paired with its opposite on the color wheel, which is why it is often paired with gold for a rich look. 3). Another example supporting this purple/gold theory is found in this set of 5 purple cushion covers with a delicate floral motif in gold. 4). 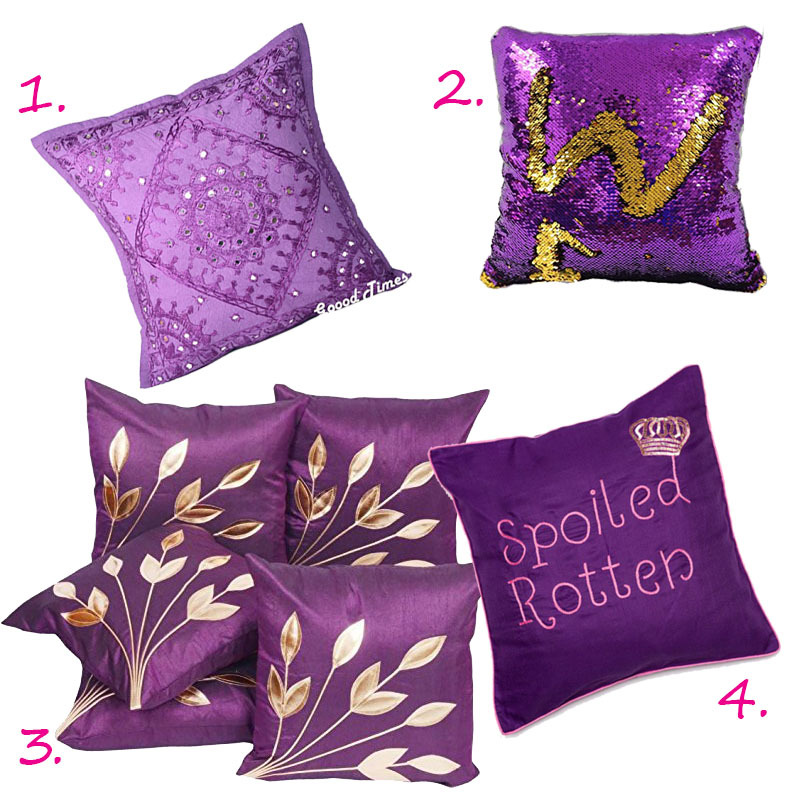 If your cushions need to do the talking, why not opt for this funky "spoiled rotten" cover? And notice again how gold found it's way in the design. If I haven't made it clear already, purple and gold is usually a match made in heaven. For years it seems that kitchen appliances had to come in white, or black, with very little variation on the theme. Looks like this mistake is being corrected these days. 1). The easiest way to introduce colors in your kitchen is with things like kitchen towels or those Gingham oven mitts. 2). The advantage of silicon ustensils other than being cheerfully colorful are that they won't scratch and damage your non-stick pans, and this Wonderchef baking tool set comes in the shade of 2018, how cool is that? 3). If you are in for a piece of cookware that will not only last you a lifetime, but also have that timeless elegance, look no further than Le Creuset's range of enamel cookware. Yes they are pricey, but they are quality, and the different color ranges haven't changed in years. The purple range is called "Cassis" which is French for blackcurrant. This mini cocotte is just plain adorable. 4). Do you remember that time not so long ago when Air fryers were not only costly but also only came in boring black? 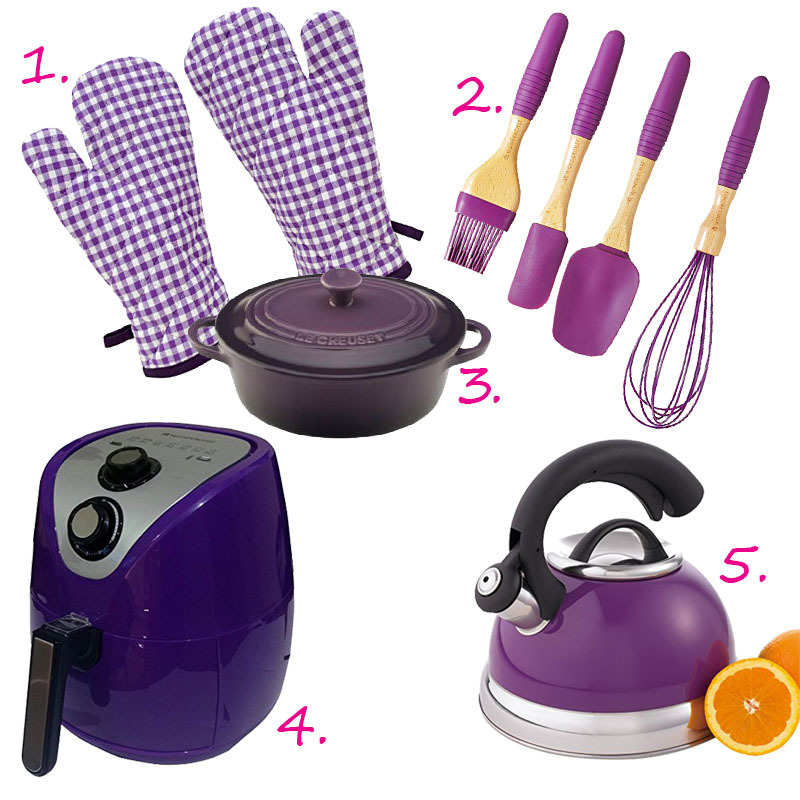 This Wonderchef one is not only reasonably priced, it comes in a beautiful shade of purple...squeeee! 5). Boiling water for tea the old fashioned way has never looked trendier in this purple stove top kettle. I'll confess that the common bathroom in our flat does sport some of that trendy purple in the form of a fuzzy matt and stripped hand towels. And I did it before I even knew I was going to be trendy in 2018...ha! 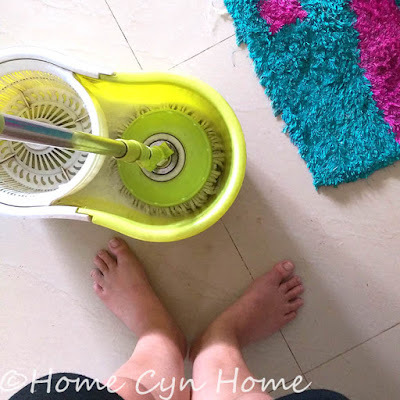 1) Bathmats and doormats are an absolute must in any bathroom, but even more so in this ridiculously annoying Indian bathrooms where water splashes all over and lead to you leaving dirty wet foot prints all around the home. 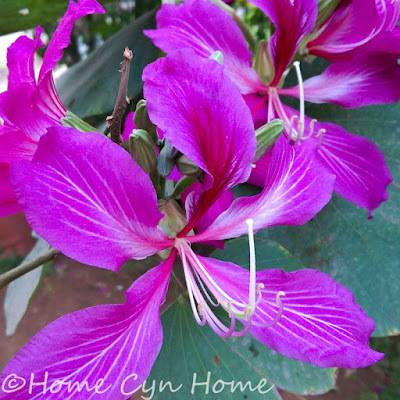 This set of 2 purple mats will set the tone right in your home. 2). If you like bathing the Indian way with a bucket and mug, don't settle for any old boring bucket, spruce up your wet room with this cute bucket and mug set instead. 3). If your bathroom has a dry area, this cute and funny laundry hamper will fit right in, otherwise, it will still look pretty awesome in your bedroom. 4). 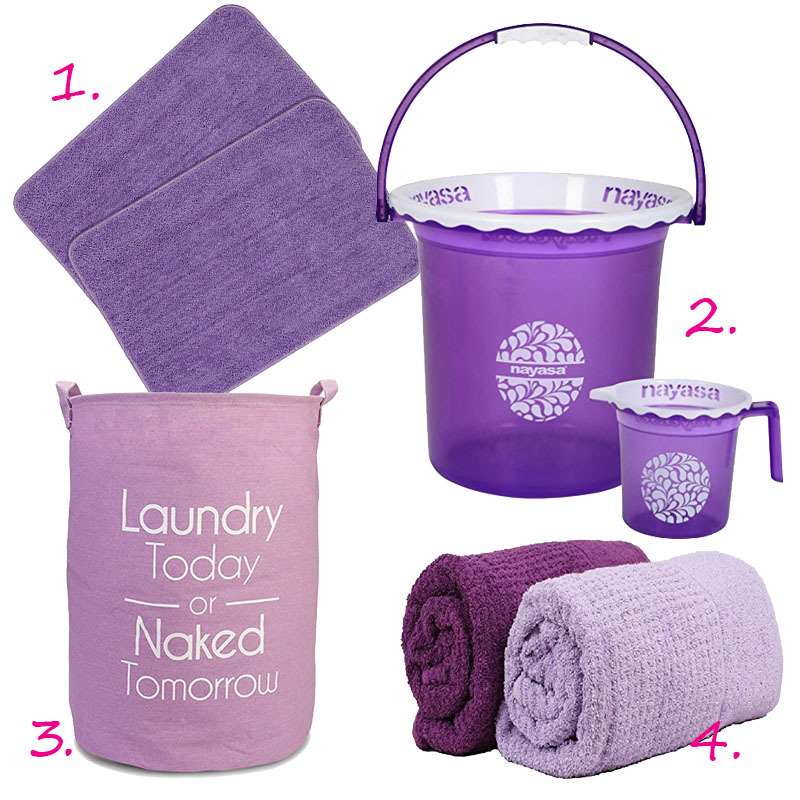 There is nothing like wrapping yourself in a soft towel after a bath or a shower, bonus if you get to do it in shades of purple this coming year. This adorable set of 2 towels should totally fit the bill. 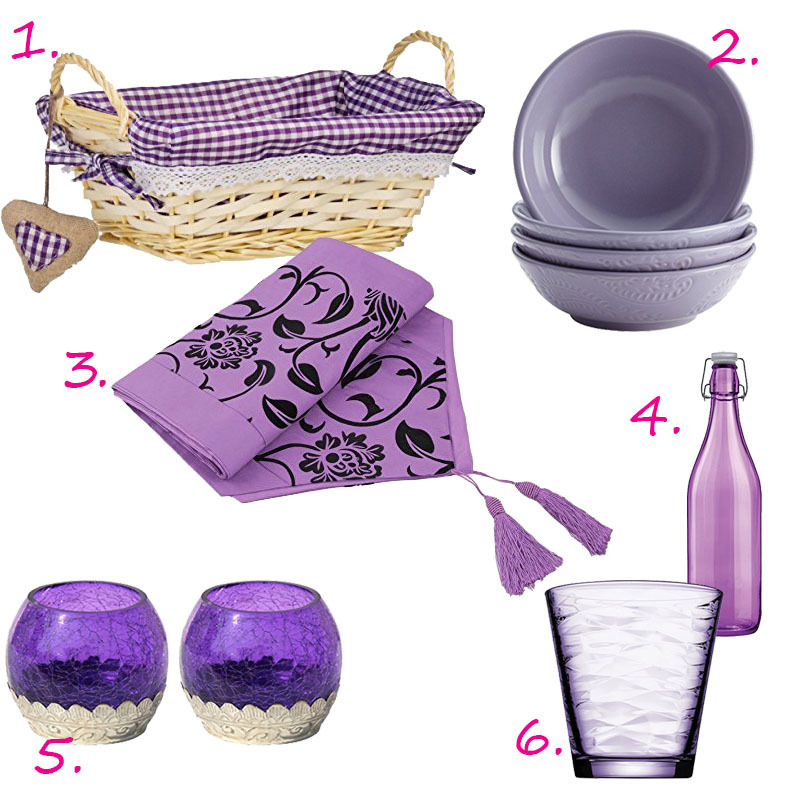 This little shopping guide should cover all your purple bases for the year to come. If not, what is your favourite color? We aren't even at the mid-December mark and I am just about ready to embrace quiet and almost boring January. 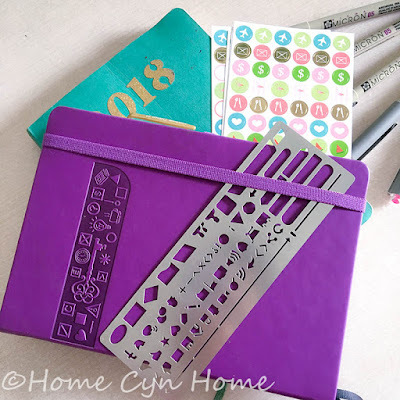 2) I just can't plan the setup of a bullet journal in December with so much mayhem. I mean this week I am even lucky I am keeping up with my weekly spread. 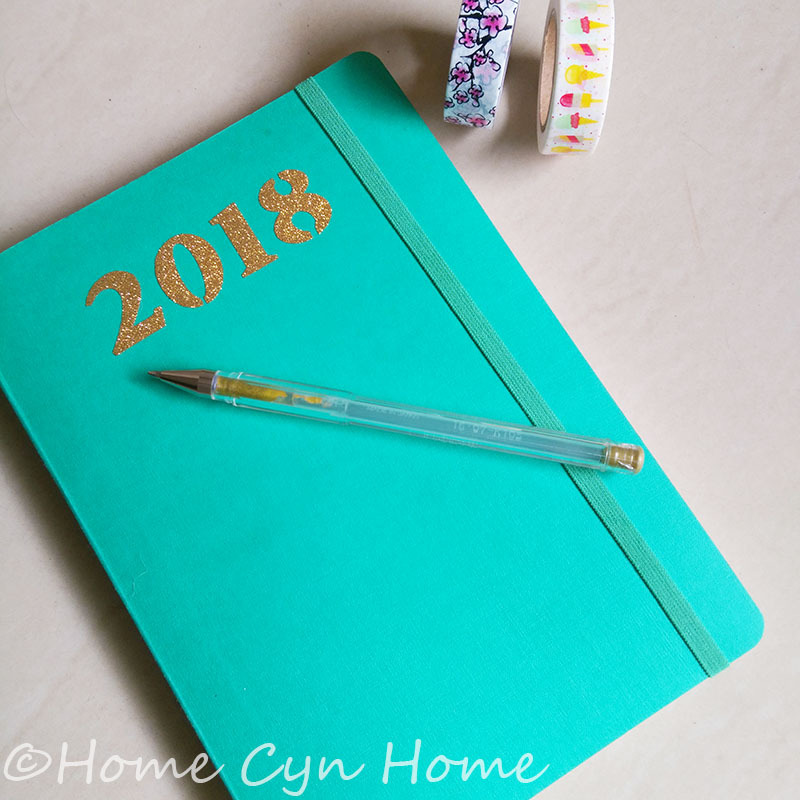 As some of you may remember, I did take the plunge into bullet journaling this year as I found out I do better with a more flexible type of planner than the conventional stationery store bought year planners. I showed you how I set it up in January, and I showed you how it came along a few weeks (or months?) ago. What I already mentioned was how limiting a ruled notebook was for me. 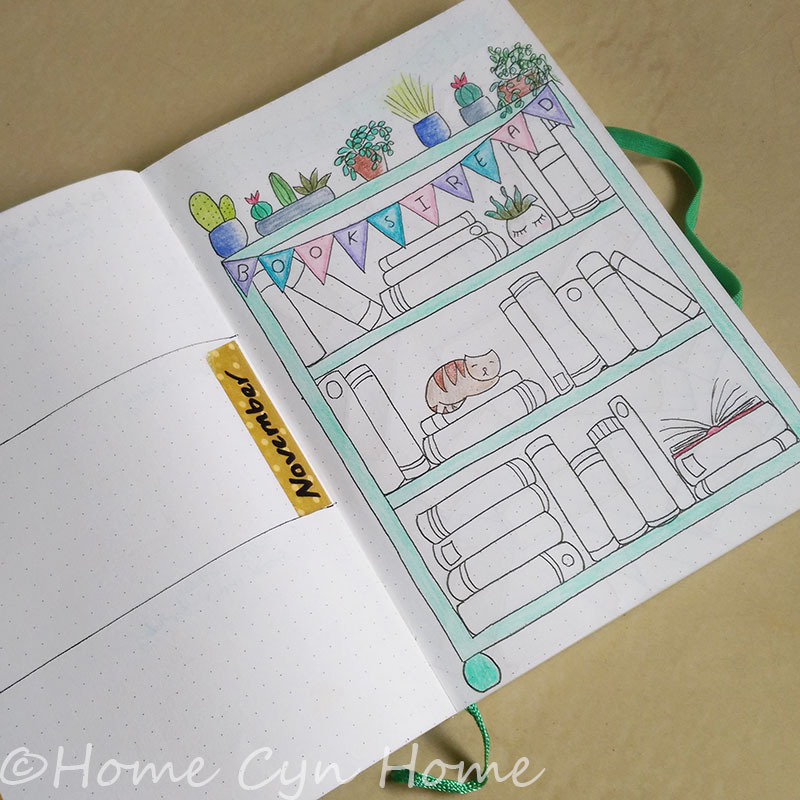 I found myself gravitating more toward a journal filled with doodles, lists, tables and charts than I thought I would. In the Bullet Journal community, people swear by the dotted grid notebook, and the two stars of the kind are the Moleskine and the Leuchturm. Sadly both of them cost a fortune in India, as they are imported, and of the two the Moleskine is still the cheapest. I almost bought it, even though it has HIGHLY mixed reviews about the paper quality. I say ALMOST because thankfully I found an Indian brand alternative and I decided to give it a try. The brand in question is "Mypaperclip" and I bought mine on Amazon (affiliate link). At 795 rupees I would not call it cheap, but it is not exorbitant either for a notebook in which you plan to store memories and use an entire year. The Moleskine dotted journal will currently set you at close to 900 rupees and it's more often than not available only at about 1000+ rupees. With all the mixed reviews concerning the paper, I won't judge if you feel lukewarm investing in one (been there). So how is the paper quality in the Mypaperclip notebook? After trying it, I'll have to say great! 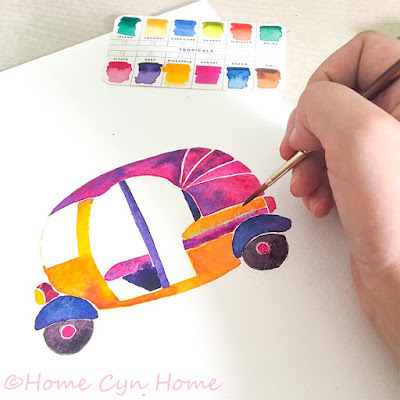 The paper is smooth, the dots are clear but not overpowering and the paper holds its own when I use my gel pens and fine liners on it. It doesn't bleed through or really show on the other side of the page unless I really look very closely. Unlike the pictures of Moleskine notebooks where I saw inks ghosting through. At this point I think the best is to show you how I set my 2018 Journal up so you can see what I mean. I started my planner by pasting a "word of the year" to inspire me in the year to come. This is a practice I have seen done in many creative and blogging communities for years, I never put much thought into it until recently. I am currently reading an inspirational book called "She means business" by Carrie Green as I plan to grow as a freelance artist and am all for picking up the brain of creative women entrepreneurs. Anyway, the point is that not only does she practice the law of attraction which I am already familiar with, she also stresses the necessity to positively reinforce your goals and dreams with powerful quotes and words, including a word of the year. 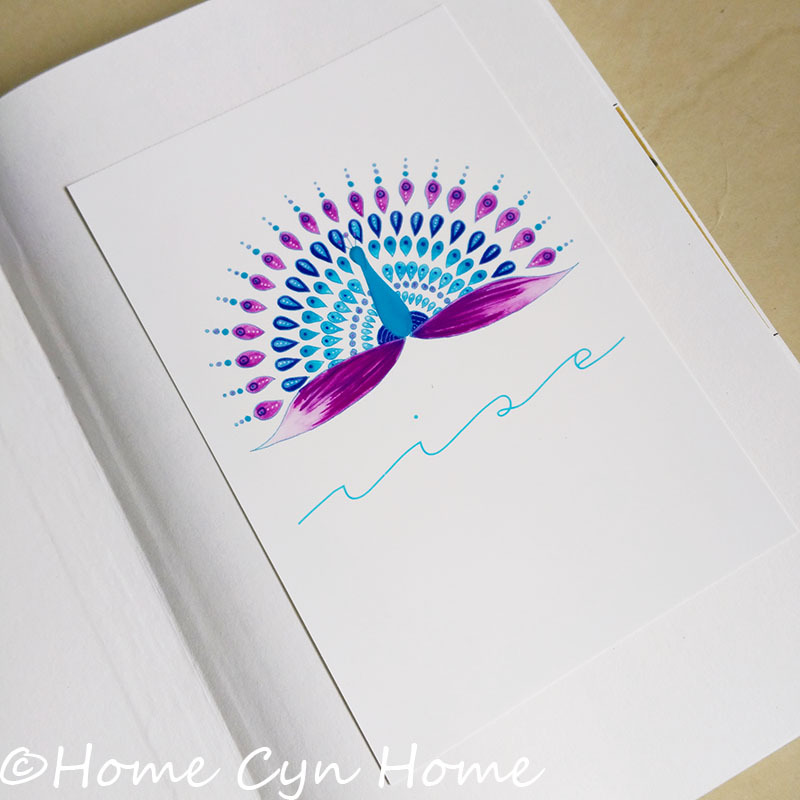 Rise to the challenge, rise as an artist, rise myself above who I was... you know, RISE! Right after that bit of inspiration, I added a year at glance calendar on the next two pages. This is something that has been missing from the 2017 journal, and found I needed. As you can see there is no bleeding through from the next page, if you look carefully you will notice there is something written on the back of that page, but that is true with any writing grade paper, it's due to the semi-transparency of paper and not to the ink ghosting through like it can be the case with cheap more light weight paper. Like this year, I have 4 pages of "year planning" where I can jot down events long in advance. I didn't take pictures of that, mostly because I just don't really want all my dates and events out there publicly, and because really I just replicated the layout I currently use this year. What I added this year though is a reading log. I decided I would keep my journals because they are filled with doodles, and I might as well keep a record of all the books I read in a year. You know just for the fun of it. I got that bookshelf design idea from spending hours on Pinterest looking at how others who've been journaling for years set theirs up. Each time I finish a book, I'll write it on the spine of one of these books and color it. The goal is to fill and color as many as possible in the course of the year. On the next double page, I did a movie log, which will go by the same principle as the book log : each time I watch a never watched before movie, either on TV or in Theatre it'll go on one of those little movie tickets. The next new thing is the Monthly gratitude log. I normally keep a gratitude diary, and I do sometimes write down one thing I am super grateful about in my bullet journal, but it's all over the place. This year I want to have one extra special thing a day that I am grateful for written on one page, so that at the end of the year I can really just leaf through each month gratitude log and see all 365 grateful moments without reading through 192 pages but just 12 of them. By the way, being full of gratitude is one of core ideas if you believe in the Law of attraction (which I do). So a gratitude log is super important to me, the bonus being that it acts as a "title page" for the month to come. This leads us to the Monthly spread. 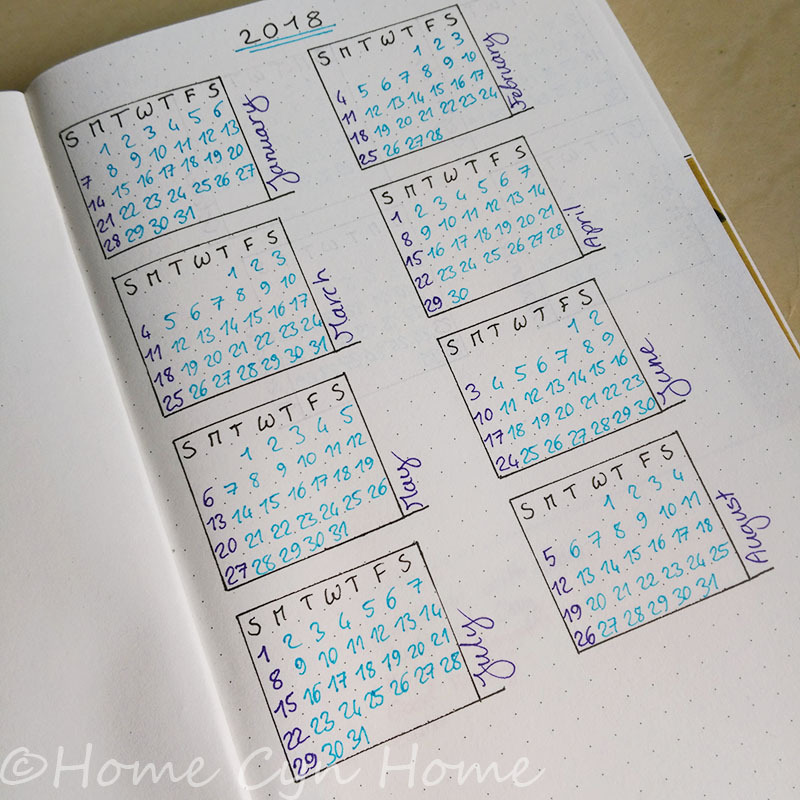 This is a month at one glance page where I can add stuff as the month goes. 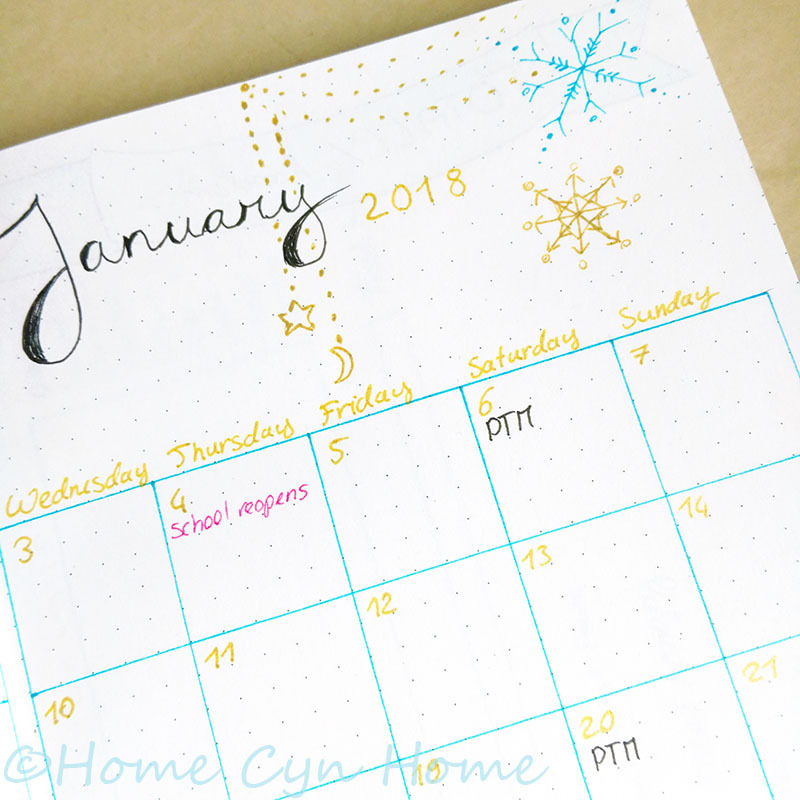 The advantage of the dotted grid here is that I can make it look like a more conventional calendar page and still have space left for things I want to track on the side. The things I want to track each months are my previous months blog stats, number of Instagram follower at the start of the month, and how much I earned and where. 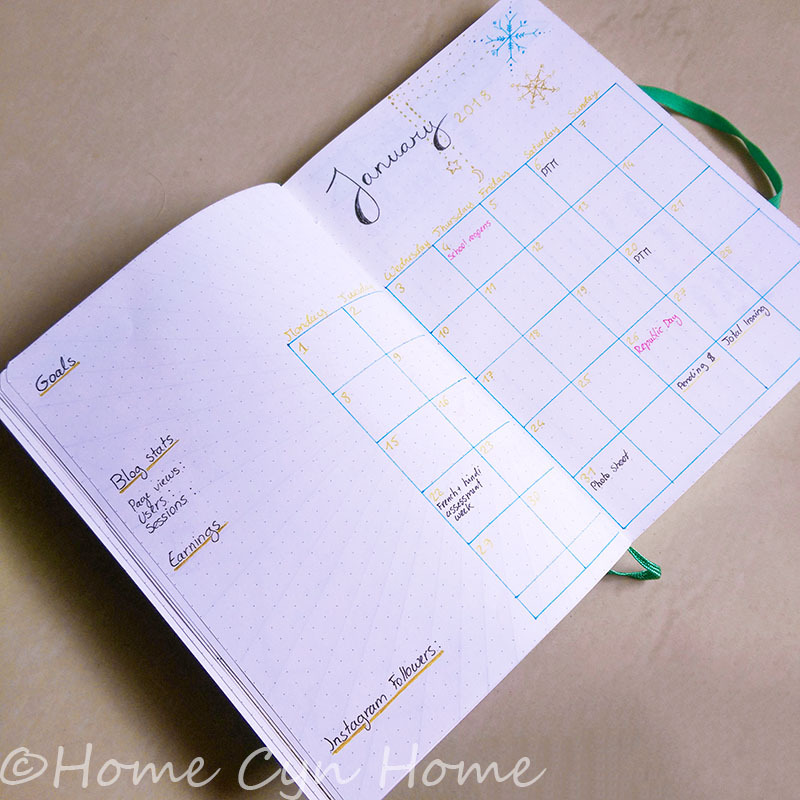 I also decided to do away with the Goal page of this year's journal and put a goal on the monthly spread each month. The system I have in my journal this year is not efficient at all. This new layout also let me doodle something I feel illustrate the month. As you can see I do stick to my synesthetic view of the month with a light blue and gold palette. 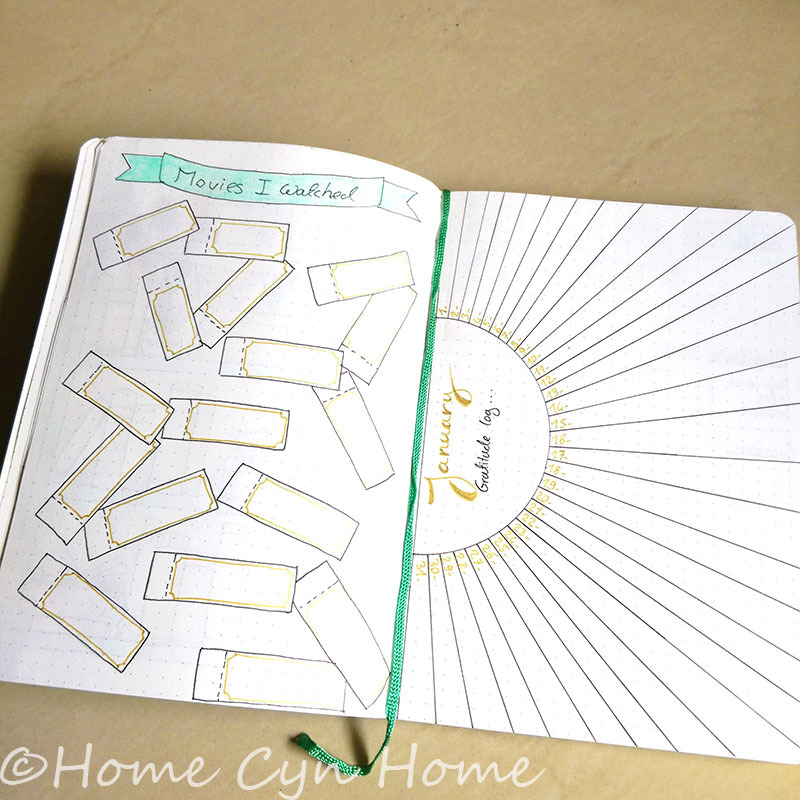 Right after the month at glance spread, I set up a "Random page" and a habit tracker. 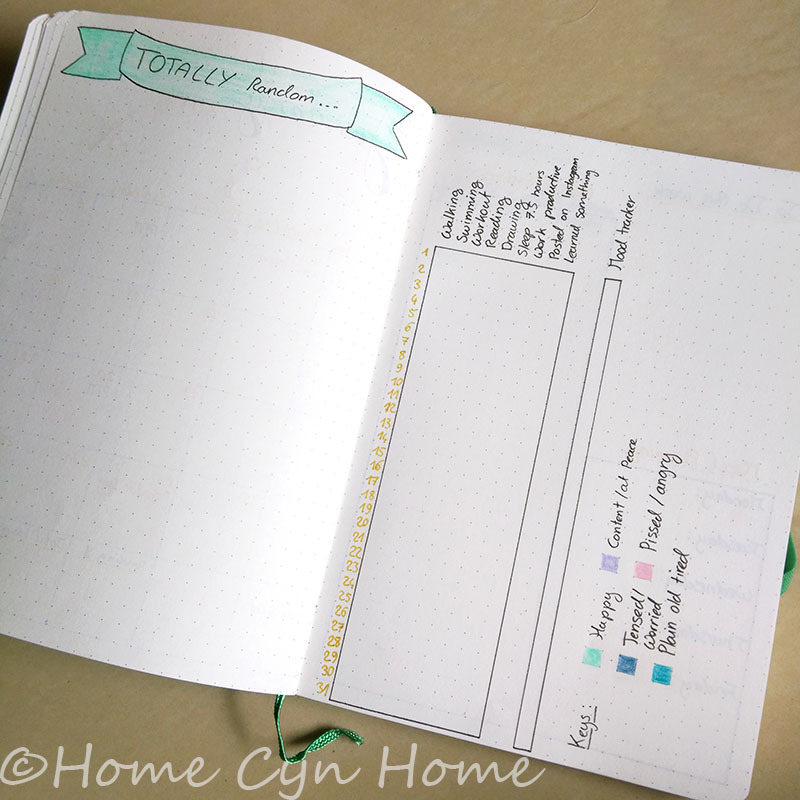 I saw many trackers in other bullet journals and I knew I wanted one. 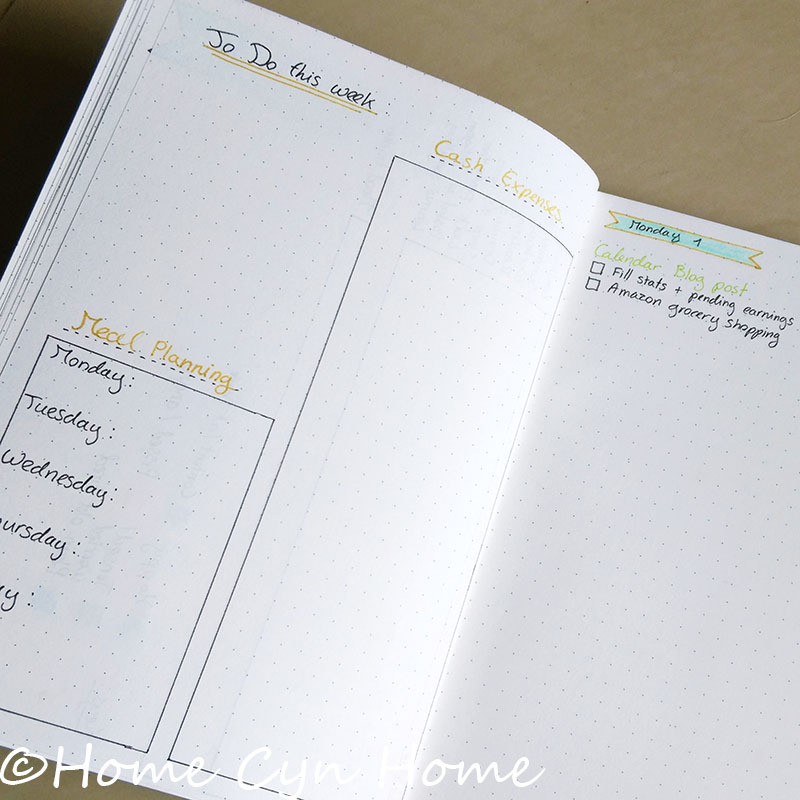 I actually have been doing it those past few weeks in this year's planner, but on a weekly basis and not for all the things I want to track since I have a space constraint. Having all the habits and the whole month on one page again made sense. Notice there is also a mood tracker with color keys. That one is just for my personal fun, I am curious to see how a month of mood looks on paper. With PMS striking the way it does for me, I suspect there will be a few days of "pink" somewhere in the month (not even joking). The "Totally Random" page is all about random things, it could be a quote I like, a doodle, a sticker, a few notes. The goal will be to fill the page with random odds and bits every months and see what emerge from it. After a lot of trials and errors and experiment in this year's journal, I came to like this weekly spread best. Cash expenses, meal planning and generic to-do list on the left, and a daily more specific log on the right. There might or might not be extra doodles going there. But the point is my week is all spread on a double page and that is way easier for me to not loose track of time. 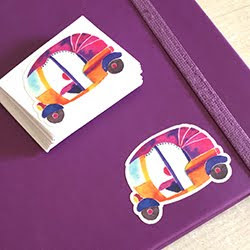 Bullet Journal enthusiasts will all tell you that the Moleskine or Leuchturm are the notebooks of choice because of the pocket they have on the back page, which is called "folio". 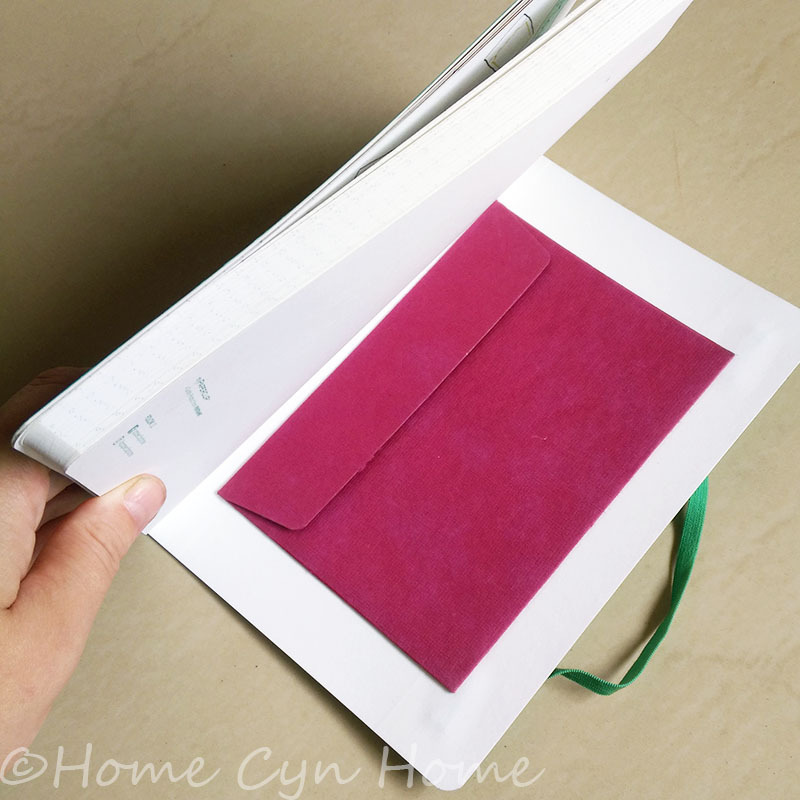 That pocket is very useful to store business cards, important tiny papers, pictures and the like, but I don't think a notebook that doesn't come with one should be ruled out. I simply paste a colorful envelope on the back cover and I am done. It came in handy this year, I am sure it will next year. Last but not least, I usually write down notes and lists I forgot to include in the spreads in the last few pages working backward. I have no pictures of that to share, in the 2018 journal because I haven't written anything of the sort yet, and in this year's journal because it is fairly personal and some stuff are better kept private. But know that it's always an option to use pages backward in your journal to add bits you never thought would come as you go. With my bullet journal 2018 ready to go, I can't wait to get it filled already. I don't know about you guys, but I always feel giddy and excited when I get a new planner and start wondering how the pages will get filled. This is another reason why I shifted to a bullet journal format, it's less formal, and it acts as a personal year book filled with memories you might want to read through again down the years. Kind of a yearly time capsule of sort. 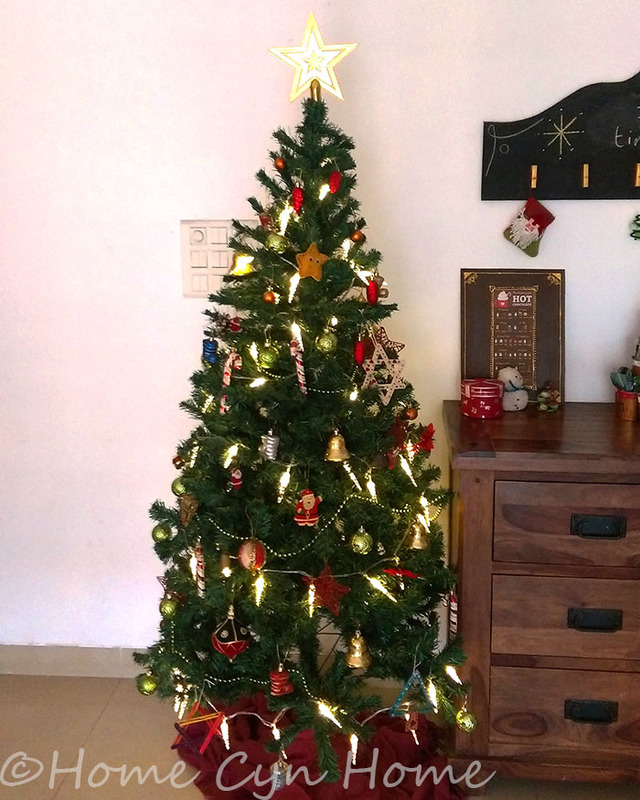 Since we moved to a new flat, this means that we get to see our festive decorations in a new light, and while we kept Diwali very low key and private, we are kind of going all out with Christmas this year. When we moved into this place last April, I knew more or less where I would put the tree (that's how obsessive I can be with Christmas). In our old place it was kind of squished between the sofa and the wall space before the dinning table (and later console table). I wasn't bad but it was a bit crammed since we were dealing with a low space issue. In this flat we have plenty of room and so I gave the tree the place of honor right next my chest of drawer. 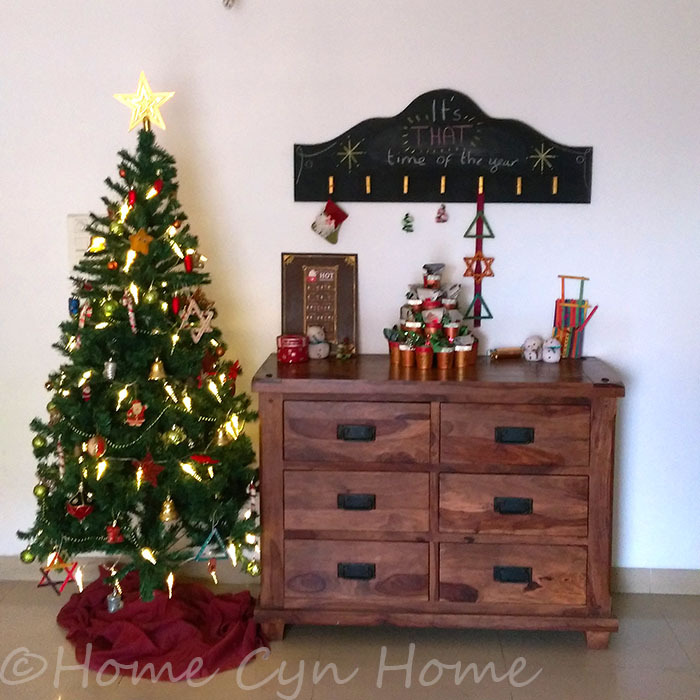 It makes a lot of sense since this chest of drawer is the place where I put seasonal display with my handmade black board display. Hubby said that the tree looks really great this year, especially when it is all lit at night. It's really like it has it's own stage rather than being that thing we need to make work in our year round decor. We also did get new lights for the tree this year, the stock of quality LED lights I had has dindled over the years and the two strings of lights I had left are used else where in the flat. Because I love them as every day decor. One is in a lantern in my "office" (this is how we call the 3rd room), the other is serving as a night light in the kitchen. I normally stock up on lights during Diwali, but I completely forgot to do so this year because we used all the twinkly lights and colorful strands leftovers to decorate our balconies. 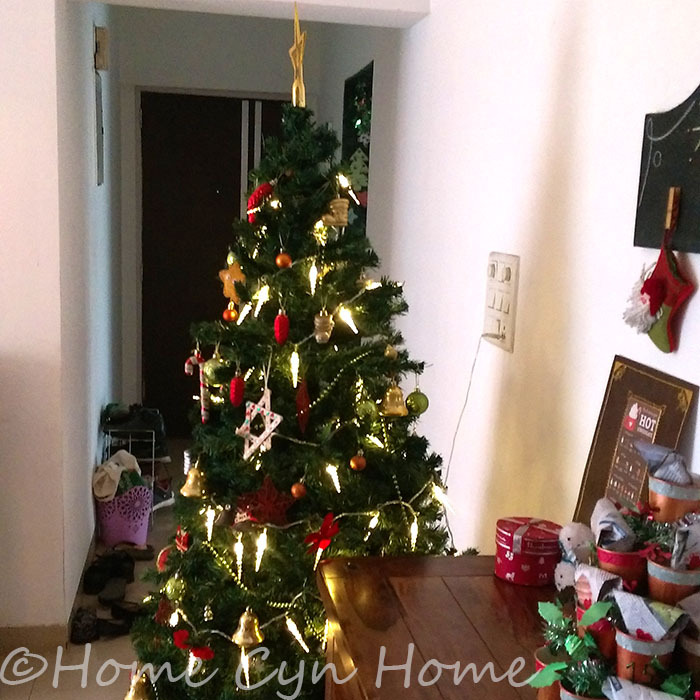 I am not picky with colors and type of lights for Diwali, but for the Christmas tree nothing but non twinkly warm white (aka yellow) lights will do and I do not compromise on that. I hated the tree the year I was stuck with those cool white twinkly lights. This year I bought mine from Amazon and after sifting through a lot of reviews, and different type I settled for these (Affiliate link). They king of look like little icicles which is perfect on a Christmas tree they also have a connector plug at the end of the string so that you can plug the next string directly to the previous one instead of dealing with an unsightly multi-plug. I bought two strings for my 6ft tall tree. I also took out all the craft projects and little bit of decorations we made over the years and scattered them around the living room. Things like the Hot Chocolate menu card, or the pompom snowmen. This is the beauty of Christmas, for a lot of people, their ornaments and decorations tell silent stories about their lives and family. In the picture above, the sock snowman was the result of a Christmas craft afternoon with my friends and their kids. 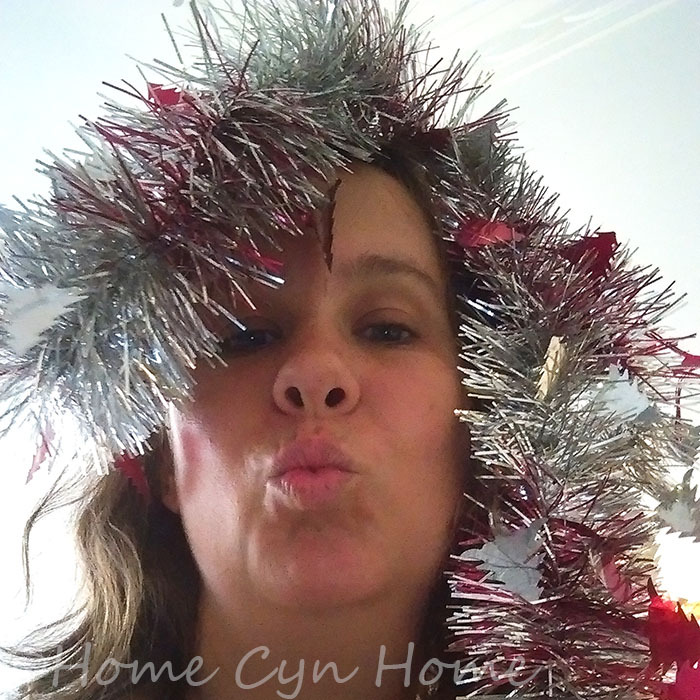 The small pompom tree, apart from being featured on the blog, holds a similar story of me getting together with two friends and getting into more grown up Christmas craft projects while our kids were in school. It was a fun morning, my two friends were replicating my Christmas paper wreath while I was working on some pompom projects and battled with a giant bundle of green yarn that kept getting tangled. We drank tea, shared stories, had quite a few laughs and all this is now captured in that tiny tree, and me and my friends are the only one who remember the story behind. This is what Christmas is actually all about, under this mass commercialism that has made it famous worldwide. It's about planning a whole month of activities with loved ones and building tons of memories. Decorating the tree is always a family affair, and I can't tell you how many memories I have of me and my sister bickering about who gets to hang some of our favourite ornaments, or how the Boney M Christmas album is intrinsically linked to that ritual or how many goofy moments we had pretending the ornaments were earrings while decorating the tree, or how we played divas wrapping ourselves in tinsel garlands rather than the tree. This past Sunday when we decorated the tree I made sure these silly pictures were included in the photo op, because I plan to print them and put it in our year book. This is one of the thing I actually now enjoy, when you are a young adult fresh out of the nest, Christmas is hard, because you realise that you are now in charge of making it special rather than sit and wait for your family to make it so for you. 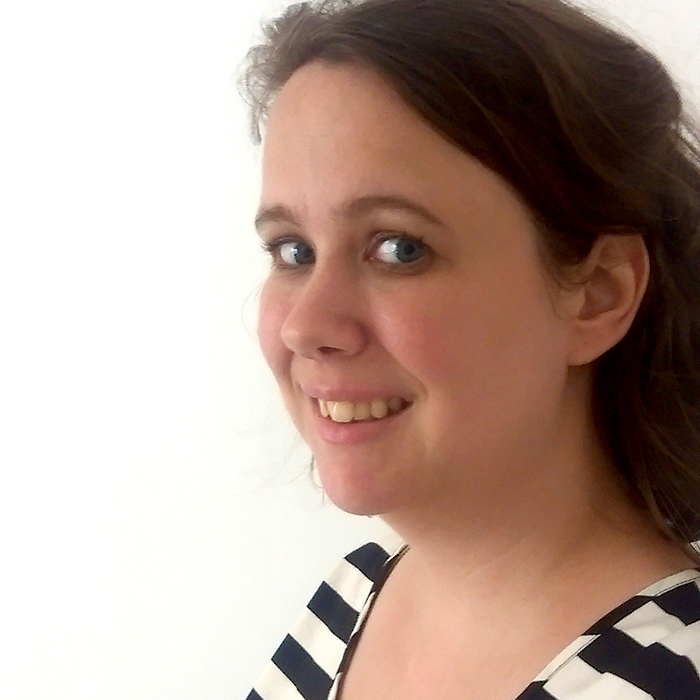 It takes years of figuring it out, and in my case moving across the globe probably made it even more challenging. But there is power in being the master of your own family traditions and having fun with that. After so many years, I would not have it any other way and I love to spread the cheer. Just yesterday while the city of Mumbai declared a holiday for all schools due to cyclone Ockhi paying us a rainy visit, I simply invited friends over to bake Christmas cookies. It's part of getting in the festive mood, and there is nothing like sharing it with friends. 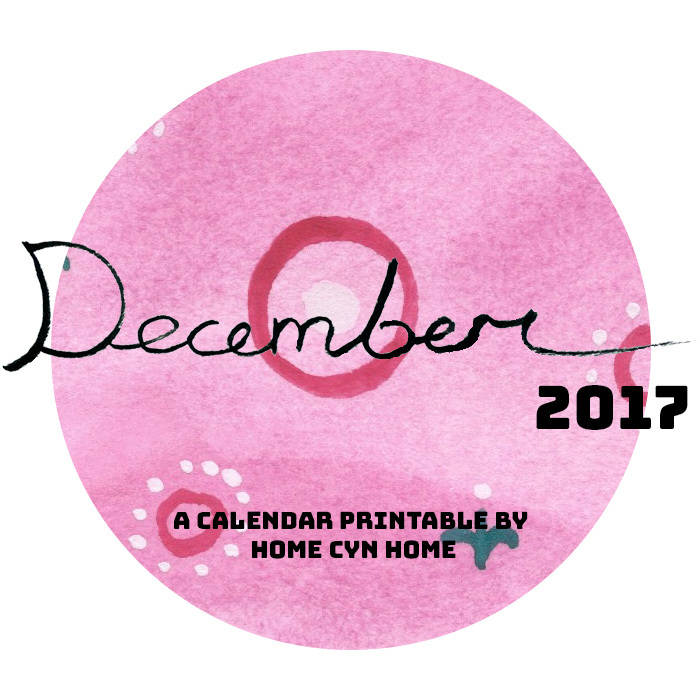 The advent calendar I mentioned in passing in yesterday's post is a pretty reconfigured "paper cup calendar" that has been in use since 2014. That's right! We have been using the same advent calendar 4 years in a row now! Well almost the same, this year it went through a bit of a makeover. If you recall (or clicked on the link I shared above), this advent calendar was originally 3 rows of paper cups I glued on paper strips and taped to the wall. It worked great in our old flat with it's really boring bordering on yucky off white yellowish walls. After a few years we didn't even care about the fact the scotch tape left marks on the wall. But this year, we are in a new flat, with pretty white walls and I really don't want to deal with tape marks in the years to come so I knew without the shadow of a doubt that this Advent calendar would NOT be going up on any wall in this home...NOPE! So I just thought of a way to make them all stand on a table instead. It was a bit of work, a bit of planning, but nowhere near as hard as coming up with a completely new idea I would have to execute from scratch. 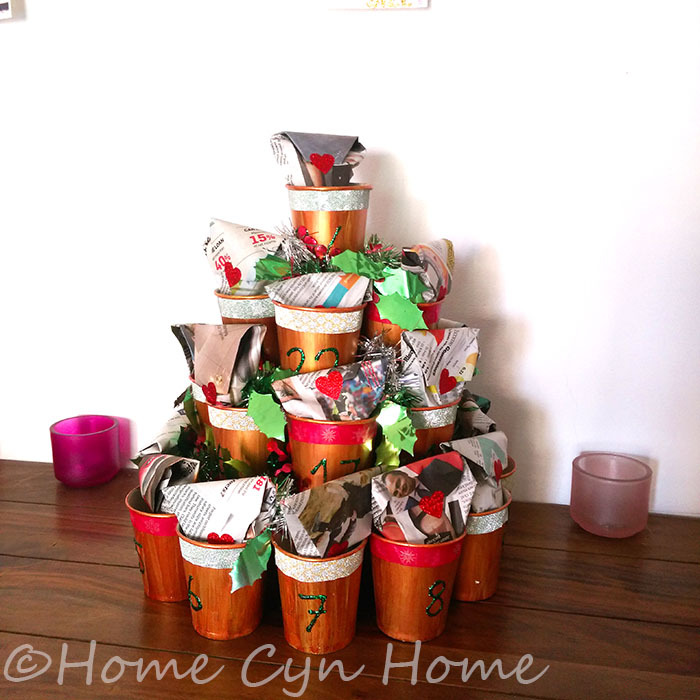 Stacking my 24 cup to form a type of Christmas tree ended up looking like the perfect solution and all I needed was some craft paper, glue and an old tinsel garland (that won't end up going on the tree anymore). 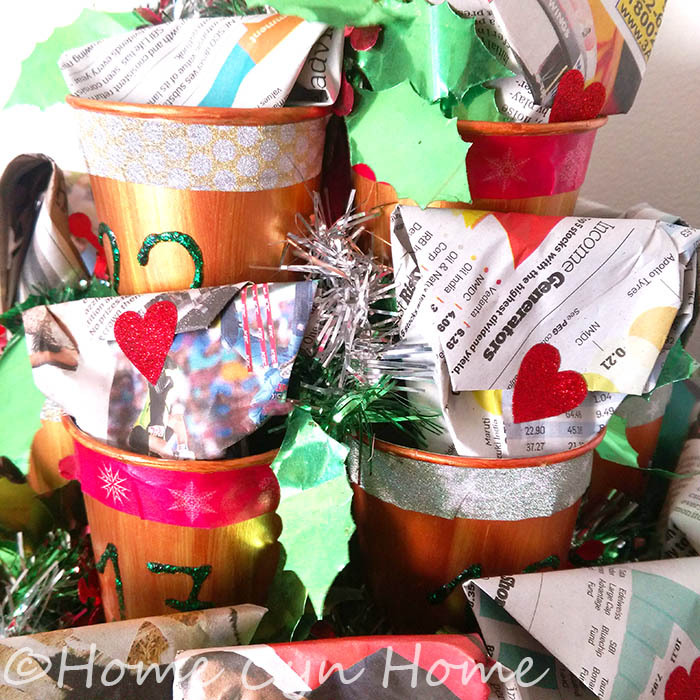 I glued a circle of paper on top of each cup tiers with "All fix" glue, then hid said craft paper and unsightly gaps between the cup with little bits of tinsel which I glued in so they wouldn't come off. 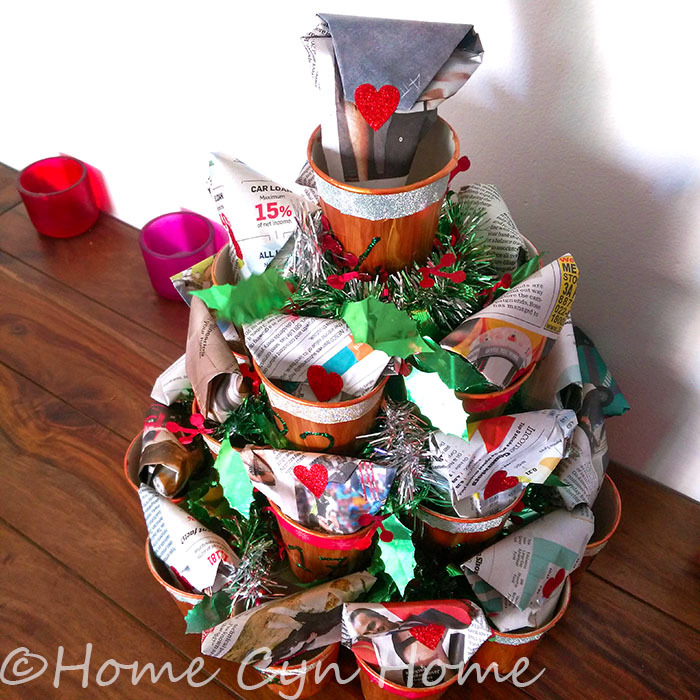 This year I also did a repeat of the "newspaper cone gift wrap" I did last year. It's a bit less elaborate this year, I also made the cones a bit bigger because some of the chocolates I put in are bigger this time around. I will also confess right away that it has been a bit last minute, and the idea of punching little paper circles like last year was just plain out of question. I made do with cute little heart stickers instead. All in all, the calendar is a hit with Ishita who still gets excited to open a small gift a day, and an even bigger hit with my cat who has love affair with the tinsel. She is deluded enough to think it's real grass she can nibble on, then she spits it out and play with it. Thinking of it she also thinks the Christmas tree is edible, and every year she tries to nibble on it. 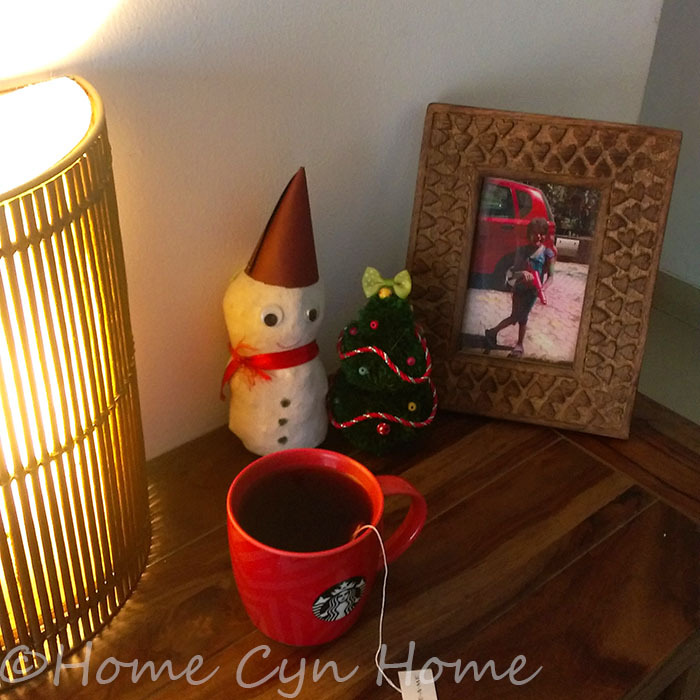 We are getting to the Christmas tree decorating over the weekend as I left all the storage boxes out in my living room this past week. And speaking of weekends, a look at my planner had me notice that I haven't had much of a free weekend since Diwali, there is always a party or event to attend, and that trend is going to continue all this month as well. This is how busy things are getting over here. And here we are! The last month of the year! Can you believe it? I still can't really wrap my mind around it and this year I feel like everything went even faster, probably because I am way behind on a lot of things, the wrapping up of the 2018 Calendar included. As I type this it is actually November 29 and I wrapped all the presents to go in the Advent Calendar and have the months of January through June all done for next year's printable. I just need to find the time in a very busy schedule to get a few more painting done and I can nicely wrap it up and offer it for download later this month. Meanwhile, you can go download this month's calendar and start planning the merrier month of the year in style. I bet that if your planner is looking anything like mine you will be very busy.